Clauson's NSCS Debut: Bryan Clauson will attempt to make his NASCAR Sprint Cup Series (NSCS) debut this weekend in the No.40 Sony/Target MotorStorm® Pacific Rift Dodge at Lowe's Motor Speedway (LMS). Clauson--a 19-year-old from Noblesville, Ind.--has been competing in the NASCAR Nationwide Series (NNS) throughout this 2008 season, driving the No.40 Fastenal Dodge. 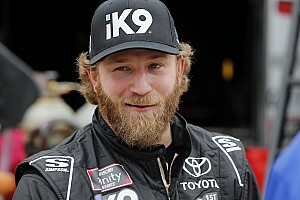 He made his career-first NASCAR start in September 2007 at Richmond International Raceway (RIR), and has tallied 23 NNS starts since the Fall 2007 debut. To-date, the teen racer has collected one pole, one top-five and two top-10 finishes. Clauson and the No.40 Chip Ganassi Racing with Felix Sabates (CGRFS) NSCS team will have to qualify on time during Thursday night's NSCS qualifying session in order to run in Saturday night's Bank of America 500. Target/Sony MotorStorm Pacific Rift Dodge : The soon-to-be released MotorStorm Pacific Rift game will test out the high banks of Lowe's Motor Speedway by riding along with Bryan Clauson in his NSCS debut this weekend. 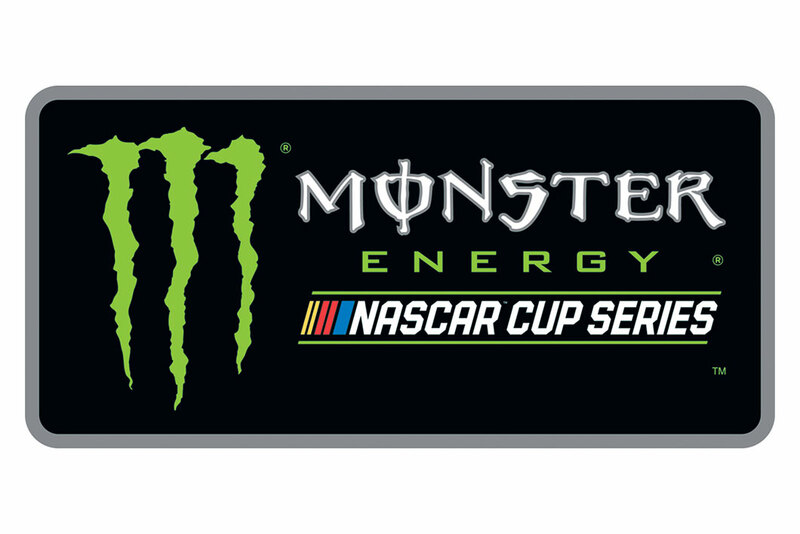 The game that is well known for its off-road adventures will adorn the No.40 CGRFS NSCS Dodge at LMS. Rookie Recap: Clauson is second in the NNS Raybestos® Rookie of the Year race. He trails fellow NNS rookie Landon Cassill by one point (175-174). Clauson has grabbed Rookie of the Race honors six times in 18 total starts this 2008 season, most recently winning the title at Kansas Speedway. 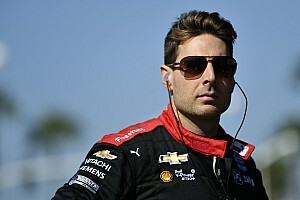 The Noblesville, Ind., native has also claimed rookie honors at Auto Club Speedway in August; Daytona International Speedway this past July and February; Kentucky Speedway in June; and Richmond International Raceway this past May. Fastenal Racing Internship at CGRFS: This year, CGRFS is proud to partner with Fastenal to offer an internship to two automotive trade students. Participants in the program will get to spend one week at the CGRFS facility in Concord, N.C., learning what it takes to prepare a car for race day. They will also be flown to Texas Motor Speedway to support the team at track this upcoming November. The opportunity is available to graduates, or soon-to-be graduates of an automotive trade program. For more information on eligibility and application deadline visit Fastenal.com. Check out the Parrott Perspective: Clauson's NNS Crew Chief Brad Parrott is keeping fans up to date on what is going on in the world of the Fastenal Racing Team through an online blog he is keeping throughout the 2008 NNS season. Check out the Parrott Perspective at www.fastenalracing.com. NNS Owner Standings Update: With four races left to run this 2008 NNS season, the No.40 Fastenal Team is 19th in the owner standings. With a currently tally of 3,170, the team is just 281 points outside the top 15. LMS History: Sorenson has competed in five NSCS and six NNS events at Lowe's Motor Speedway. On the NSCS side, Sorenson has one top-five and two top-ten finishes. His best finish of fourth came in the spring race in 2007. His average start is 21st and average finish is 20th at the 1.5-mile oval. The No. 41 Target Dodge started 17th and finished 22nd in the 600-mile event last spring. Sorenson battled handling conditions throughout the 400-lap event. He was one lap shy of a perfect 600 record. To date the 22-year-old has completed 1,199 out of 1,200 laps (three starts) in the Coca-Cola 600. 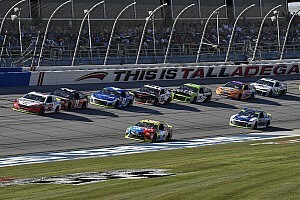 Last weekend: Reed Sorenson appeared to be on his way to recording a solid finish at Talladega Superspeedway on Sunday, but a late-race incident took multiple cars including Sorenson's Target Dodge out of contention just 17 laps from the finish. After the red flag was lifted, Sorenson's team fiercely worked on the No. 41 Dodge with hopes to rejoin the field for points. Sorenson did just that with two laps to go, picking up six spots, ultimately finishing 23rd. In the Points: Following their 23rd-place finish at Talladega, the No. 41 team remains 30th in the NASCAR Sprint Cup owner point standings. Another "Sweet" Ride: The No.42 Dodge will sport the colors of Wrigley's Juicy Fruit gum this weekend at Lowe's Motor Speedway (LMS). The Juicy Fruit Slim Pack car will be seen once more this season in the NASCAR Sprint Cup Series (NSCS) season finale at Homestead-Miami Speedway. Lowe's History: Montoya will be making his fourth Sprint Cup start at Lowe's Motor Speedway in this weekend's Bank of America 500. His average starting position at LMS in the points races is 32nd and average finish is 31st. In May, Montoya drove to a 30th-place finish in his first weekend with Crew Chief Brian Pattie. In his two starts in 2007, Montoya posted a 28th-place finish after getting caught up in a wreck on lap 52 in the spring 600-mile event. Last fall the right-front tire blew on the Dodge Charger ending the team's evening shy of the checkered flag. Jail and Bail: Montoya will participate in the first official Jail and Bail charity event benefitting the Brienne Davis Scholarship Fund, on Oct. 8 from 6 to 10 p.m., at the Brickhouse Tavern in Davidson, N.C. Montoya will be joined by other NASCAR drivers including Tony Stewart, David Stremme, Ron Hornaday and Aric Almirola who will all have their day in court when they get "locked up" and have to raise their bail in an effort to raise money for the scholarship fund. Davis, a Universal Technical Institute (UTI) graduate and NASCAR Sprint Cup Series official, died tragically earlier this year at age 28, and is honored by this scholarship created to encourage women to seek a career in the automotive industry. About last week: Montoya had one of the strongest cars in the 43-car field at Talladega Superspeedway on Sunday. He led several laps in the No. 42 Dodge and was a race contender before a multi-car incident ended his day with just 15 laps to go. Despite running up front for most of the race, Montoya drove his Dodge behind the wall to finish 25th. Gala for Colombia: Montoya and his wife Connie will once again co-host a charity gala benefiting six Colombian non-profit organizations that raise funds for high impact social projects including their own Formula Smiles Foundation (www.formulasmiles.org). BELIVE 2008 will take place on Nov. 11 at Jungle Island in Miami, Fla. Headlining the gala this year is Latin Grammy Award Winner Carlos Vive and Esteban Cortazar, chief designer for the Emanuel Ungaro fashion house. The event will consist of a silent auction, a fashion show and a concert. The Montoya's founded the Formula Smiles Foundation to improve the quality of life for needy children by implementing programs that instill values through sports and recreation. 2008 Standings: Montoya maintained his 23rd spot in the NSCS driver standings after his 25th-place finish at Talladega last Sunday. He sits 108 points behind 20th-place competitor Jamie McMurray. He's "SIRIUS" Again: For the second year in a row, listen to SIRIUS Satellite Radio every Tuesday on channel 128 for the "Juan Pablo Montoya Report." Montoya will provide exclusive updates on the No. 42 Team; give post-race downloads and share his thoughts on the events of the season. He will also chat with hosts David Poole and Mike Bagley on "The Morning Drive" every Tuesday at 8:30 a.m. ET. No.40 Target/Sony MotorStorm Pacific Rift Dodge (NSCS): Chassis # 733. This car was last entered at Dover International Speedway this past June. Jeremy Mayfield was behind the wheel and drove the car to a 25th-place finish (started 10th). No. 41 Target Dodge (NSCS): Chassis #806. 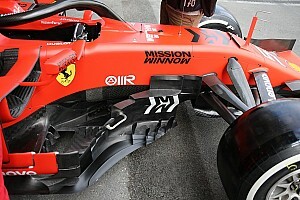 This chassis is the same car Sorenson and the No. 41 team ran at Las Vegas Motor Speedway earlier this season to an 18th-place finish. In addition, the Target Team raced this car in the All-Star Showdown at Lowe's Motor Speedway in May. Sorenson was racing in the top five prior to another car forcing him into the outside wall. The car also ran in Michigan (June) and Bristol (August). No. 42 Juicy Fruit® Slim Pack™ Dodge (NSCS): Chassis #825. This is a new car in the No. 42 team's stable. The team tested this chassis at the open NASCAR test session at Lowe's Motor Speedway on September 23 and 24. 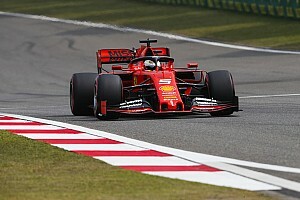 Montoya posted the fourth quickest lap overall in the two-day test when this chassis turned a lap time of 29.039 seconds. No. 40 Fastenal Dodge (NNS): Chassis #756. This car has only been entered in one other race this year--Michigan International Speedway (MIS) this past August. Dario Franchitti was behind the wheel and drove the car to a 13th-place finish (started 19th).